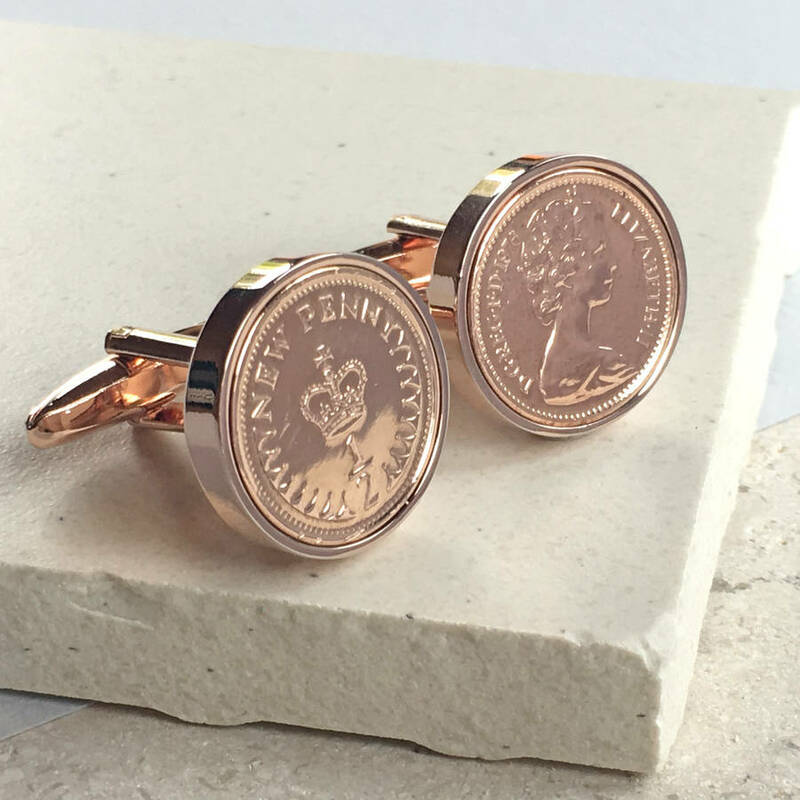 Striking rose gold or silver 1971 to 1984 half penny birthday/ anniversary cufflinks including 40th birthday. 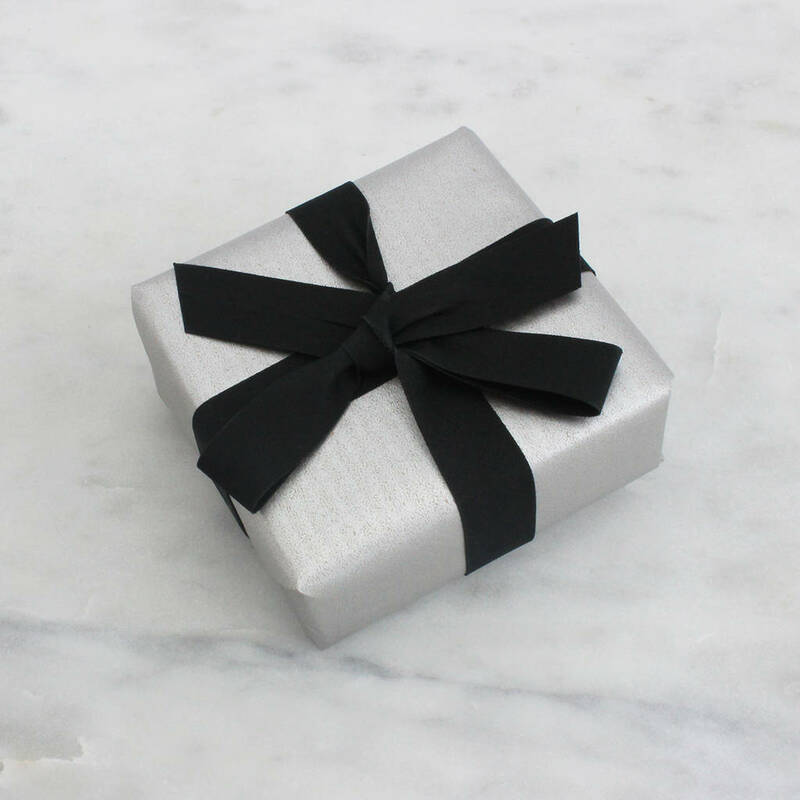 IF you choose ENGRAVING it will ADD 4 WORKING DAYS to the advertised delivery time (including the 'Express Delivery' option) Please calculate before you purchase. 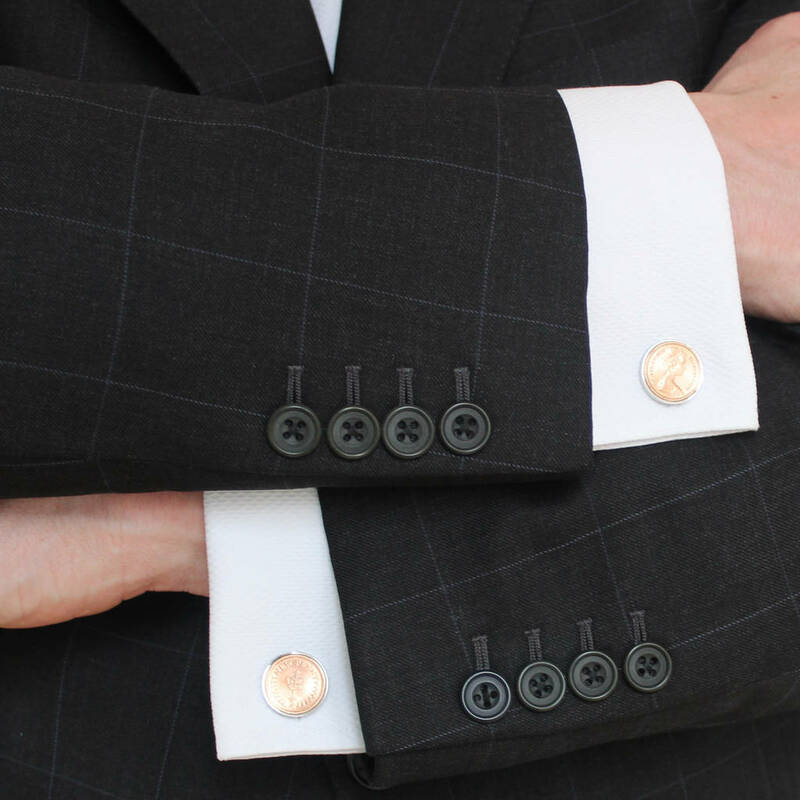 These original polished half penny coin cufflinks make a very unique gift for men or women. 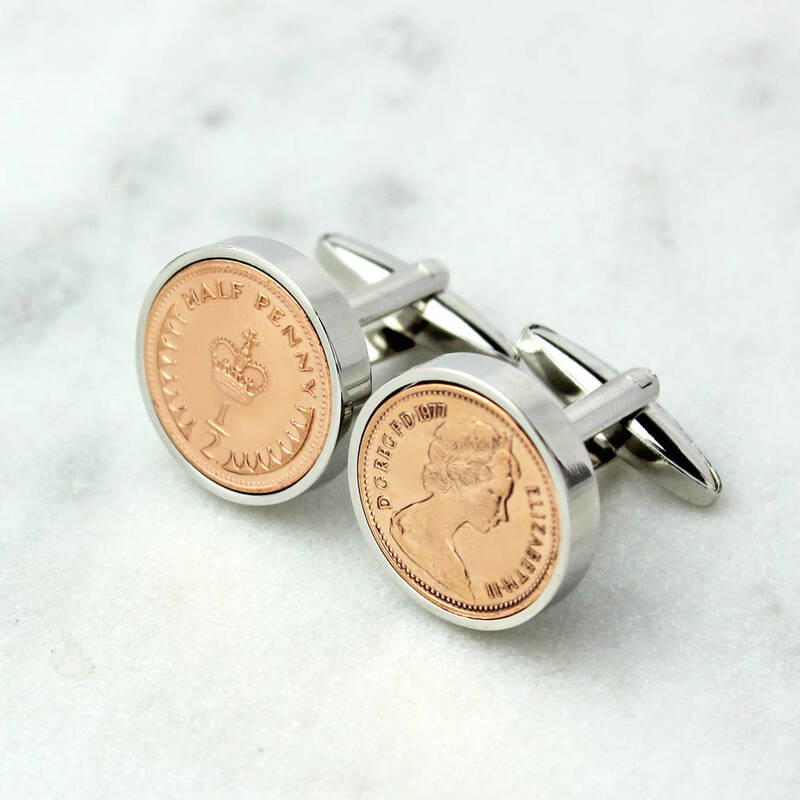 They are especially perfect for a 40th birthday or anniversary as you can choose 1979 coins. 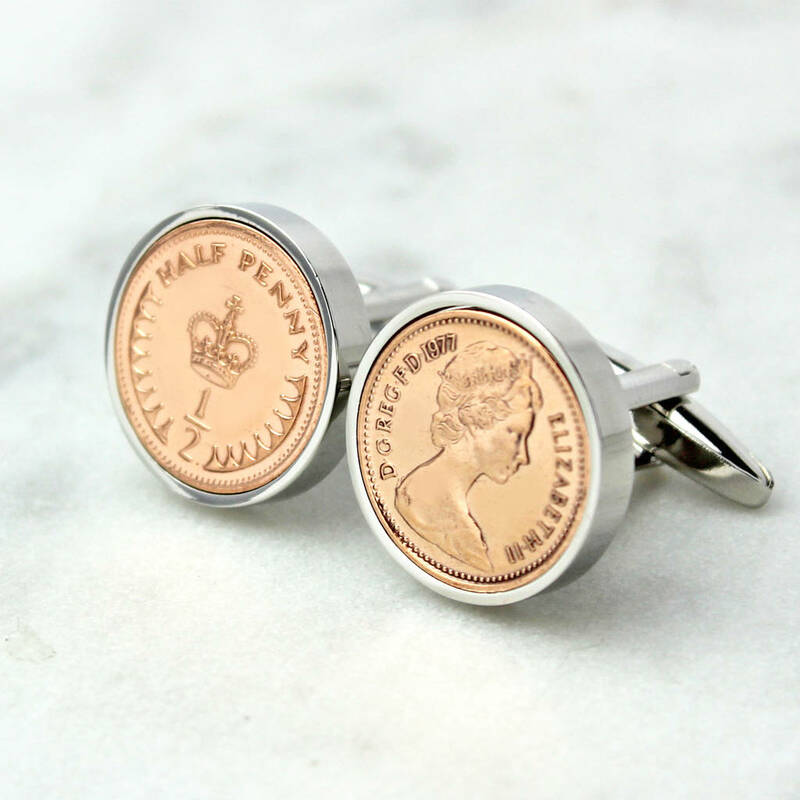 The bronze minted half pence came into existence in 1971 and was taken out of circulation in 1984. 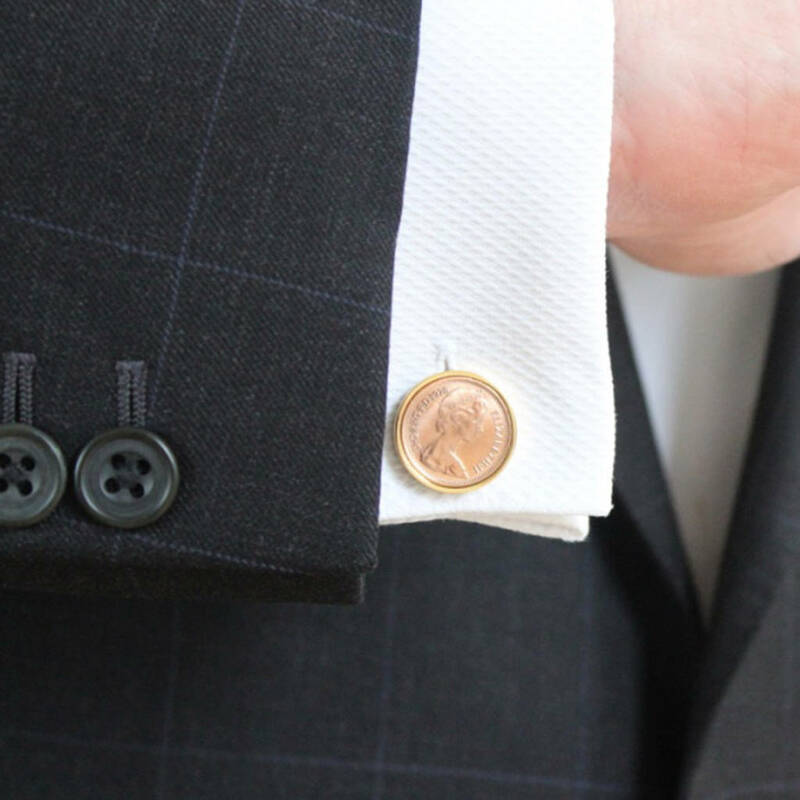 We have every year of coin available to help celebrate any birthday ages between 36 and 49. 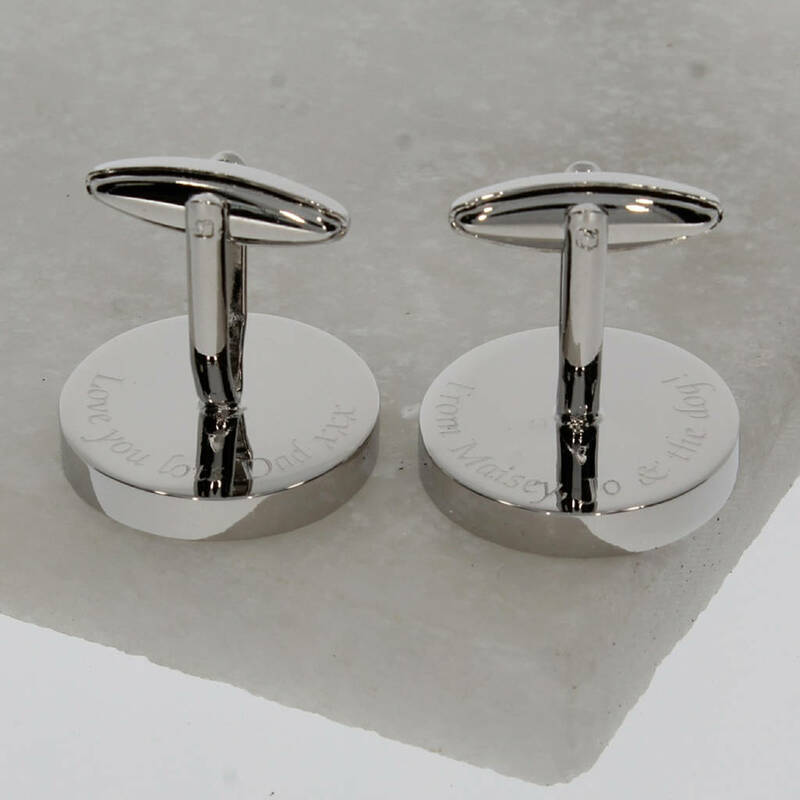 The cufflinks will be sent to you in a velvet lined cufflink box, all ready to pass on as a gift if you choose to do so. 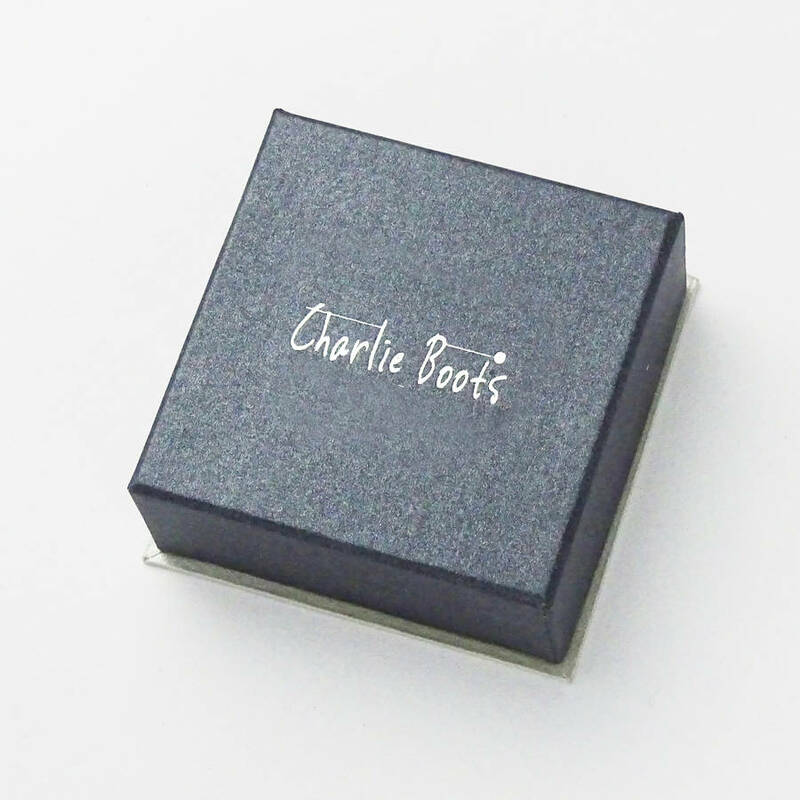 Engraving is also an option. 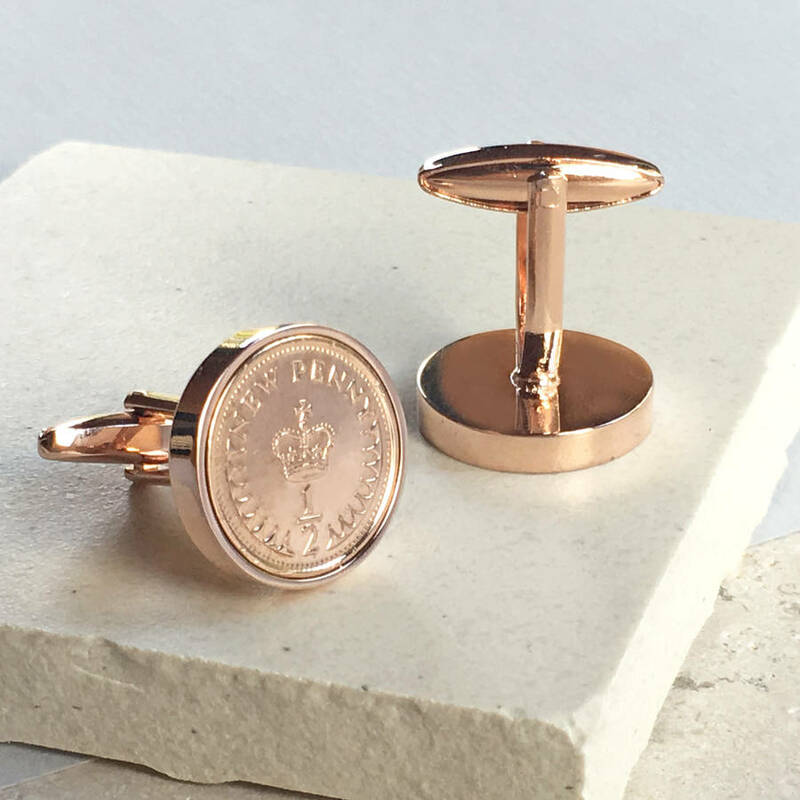 We offer an engraving service so you can add a personal message to the back of your cufflinks, perfect for that personalised finish. 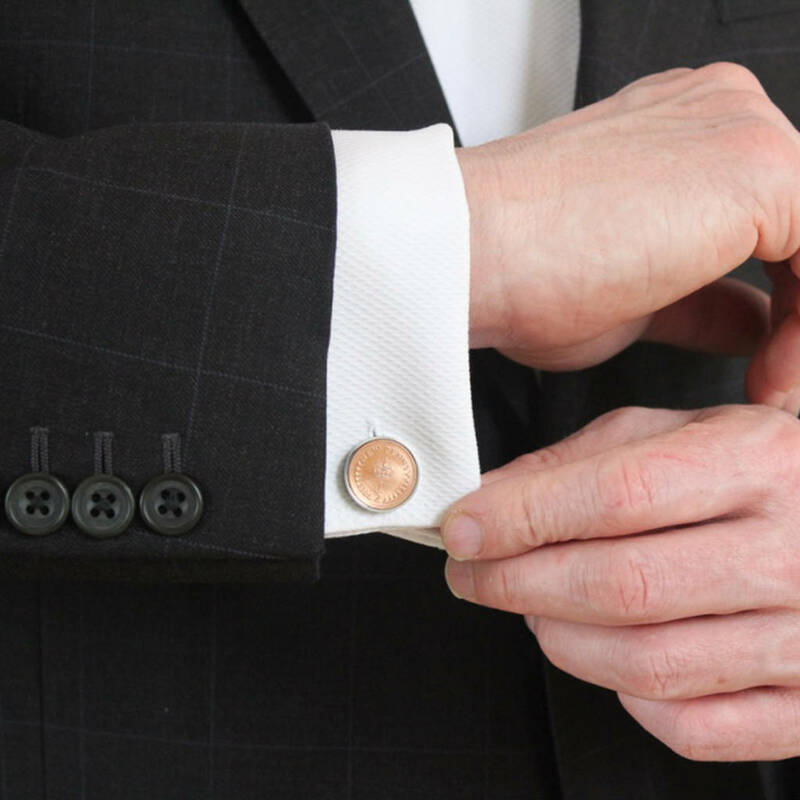 Not available with the gold cufflink bases. Other coin cufflinks, jewellery and accessories are available in separate listings. 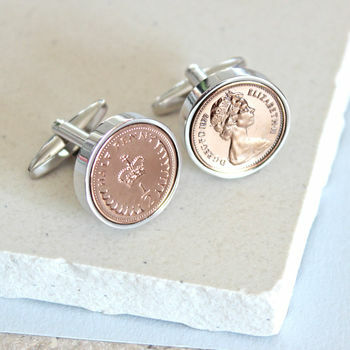 Half pence coins and rhodium plated cufflink backs.